Last month we put your minds at ease about Bionic Commanding, getting Capcom to tell us that the game will be coming out before this winter. Now we have an actual month. The Playstation 3 and Xbox 360 versions of the game will both be hitting this May, while the PC version will be available in the following months, Capcom says. Reloaded for the latest generation of hardware, Bionic Commando sees the return of the ultimate fusion of man and machine. A favorite amongst gamers around the world when first launched 20 years ago with the 8-bit original on the NES. 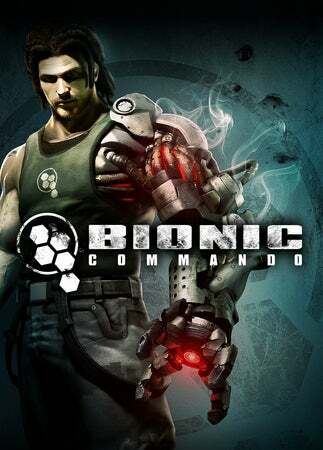 Bionic Commando features Nathan Spencer (voiced by former lead singer of Faith No More, Mike Patton), as a government operative who, after distinguishing himself in a fierce conflict against the Imperials, is betrayed and falsely imprisoned by the very people he unquestioningly served. Five years later, on the day he is due to be executed for his supposed crimes, an experimental weapon detonates the city. Unleashing an immensely powerful earthquake combined with a radiation shockwave that leaves the city in ruins, wiping out its populace. Military intelligence suggests that a large terrorist search force has moved in and occupied Ascension City, but as yet their motives remain unclear. With the terrain in ruins and the terrorists in control of the City's air defenses the FSA has only one option open to them – the reactivation of Nathan Spencer. Both the Bionic Arm and swing mechanic that made the original game so unique makes a welcome return. Upgraded to deliver a range of devastating attacks that allow Spencer to quickly traverse the game's diverse environments, players can harness the power of the arm in a variety of ways to take out enemies - launch huge boulders or cars; send them flying with a close-quarters uppercut; use enemies as a shield or whip them into the air transforming them into a human kite.